The proposed change would make way for a 9,000-square foot athletic training facility, which is a component of the College’s second phase of expansion and renovation of Whittier Field. According to the proposal drafted by the College and submitted to the town, the portion of Pine Street that runs between Bowker Street and Bath Road would be discontinued, giving the College the ability to develop over the existing road. In return, the College would build a new perpendicular connection between Pine Street and Bath Road through what is currently a wooded area. According to a statement in the proposal by Senior Vice President for Finance and Administration and Treasurer of the College Matt Orlando, the reason for this proposal is that the street currently prevents the College from having enough room to build the new facility. Relocating the street gives the College more contiguous property. The College announced plans for the project over the summer and held a neighborhood site walk in August, where some neighbors raised concerns about the project. One of the main worries cited by residents is that the relocation would create a shortcut for vehicles traveling from Bath Road to Harpswell Road, allowing commuters to drive through what is currently a quiet residential neighborhood. Aware of those concerns, both the College and the town commissioned a traffic study to assess the likelihood that this shortcut would be used. The town’s report, prepared by the state traffic engineer, found that, except during peak evening travel towards Cook’s Corner, it would take drivers longer to traverse the residential streets during rush hour than it would to stay on the Bath and Harpswell Roads. The College’s report came to a similar conclusion. Professor of Physics Mark Battle is a resident of Bowker Street and has been vocal about his concerns towards the College’s Whittier Field development. Battle said that he is not convinced by the studies conducted by the town and the College, because they appear to base their conclusions solely on travel time. “If I have two minutes of travel to make, and in one case it’s two minutes spent rolling and in another case its one minute waiting at a light and another minute rolling, I’m going to choose the rolling,” he said in a phone interview with the Orient. 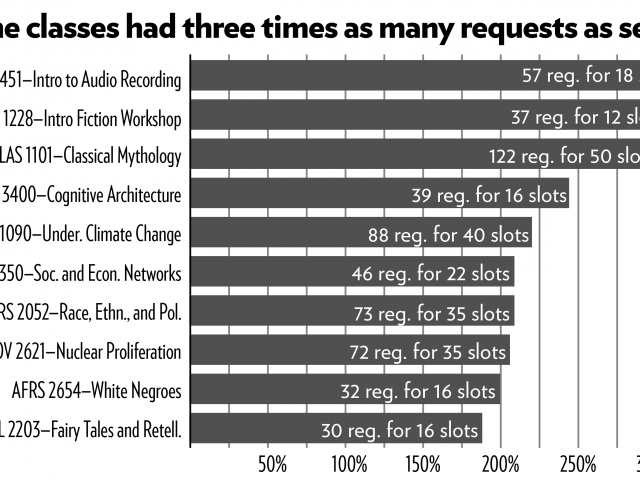 Also, in a phone interview with the Orient, Town Councilwoman Jane Millett echoed Battle’s concern with the traffic reports, saying that, although replete with data analysis, they don’t necessarily take into account the human impact of the development. At their last meeting on November 6, the town council voted 6-2 to hold a hearing this Monday for the proposed relocation, in a decision described as cautious in the Coastal Journal. According to Town Manager John Eldridge, who oversees the council meetings, the council cannot vote on the proposal until after Monday’s hearing, where the plan will be presented and residents and neighbors will have an opportunity to voice concerns. In a phone interview with the Orient, Councilman Daniel Harris said he supports the proposal because he believes it benefits both the town and the College. “It would give people a safer intersection with Bath Road. Our public safety people think it’s a great idea,” he said. This proposal follows the College’s initial proposal for the Whittier Field renovations, made this spring, to which residents expressed a variety of concerns, including noise from increased traffic, light pollution and construction vehicles. 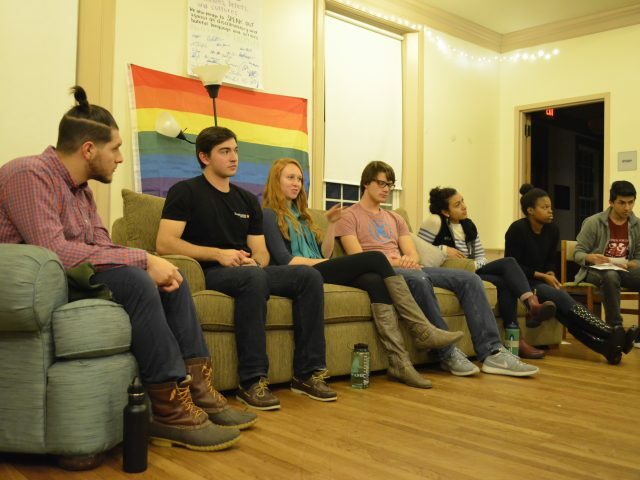 The current proposal is a product of the College’s discussion with neighbors this spring. 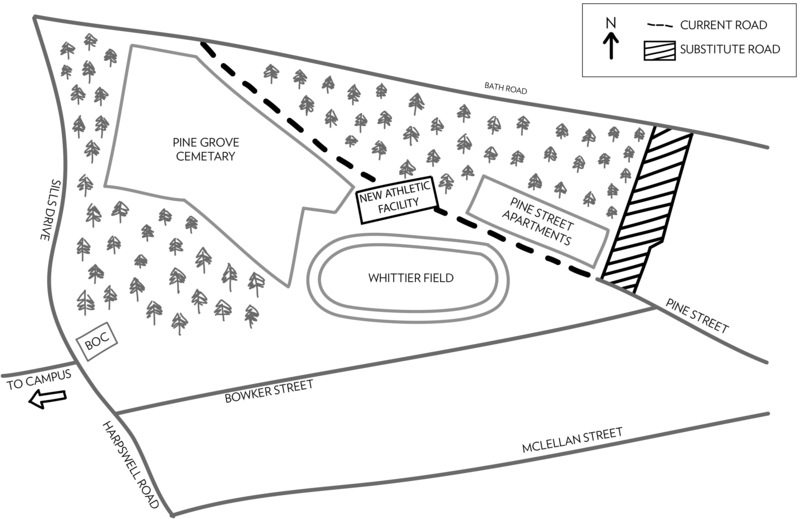 The originally proposed site for the new athletic facility was on Bowker Street, next to the Whittier Field Grandstand, but residents were worried about idling team buses, which prompted the College to suggest this alternative location in the path of Pine Street. Despite those concerns, Battle feels that that, generally, the project went smoothly, and the process was not too disruptive.